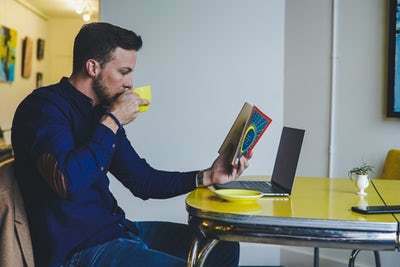 In this day and age of fast and instant gratification, many people claim they do not have time to sit down and read whole novels. This does mean that the two columns I've written about the best horror and humour novels of all time (in my opinion) mean little more to them than some sort of curiosity value. 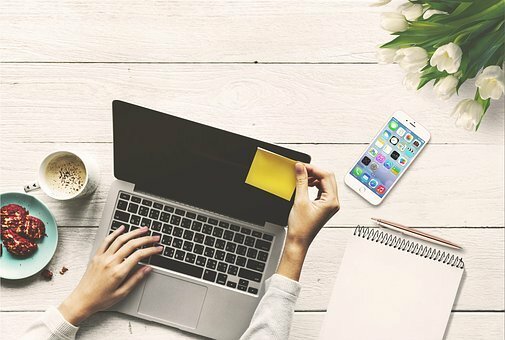 So, this is a list designed for those people who feel they are unfortunately time poor, but still need some down time. Here are my favourite short stories. 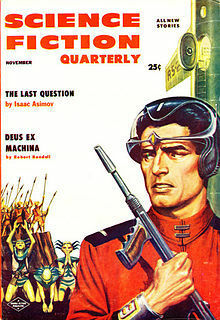 Now, as is my wont, you will notice that most fall into the speculative fiction category (science fiction, fantasy, horror), but that is okay – they're still great stories. Now, the problem is, when it comes to short stories, because I read so many (especially when I have appeared in a book) my favourites tend to change, so this is as it is currently, and I apologise if you ask me in a year's time and things have changed. Short stories do tend to get lost in the shuffle to a lot of people They are at times dismissed as lightweight and disposable, and there are even critics who consider them incomplete. As a writer, most of my published works have been short stories (next one due to be published in January), so I do enjoy a good short story. 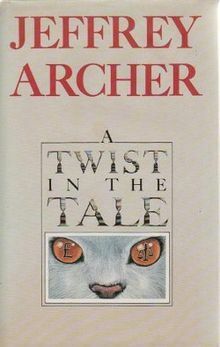 Although, it does tend to make me question myself, as how can I ever match up to the tales I read? Anyway, enough of this – here is my list of 15 tales. Hope you enjoy it! 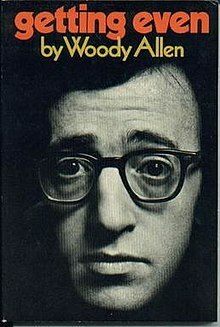 I am a fan of Woody Allen to a point. I find some of his stuff self-indulgent and some of his humour leaves me flat. This, however, is a near-perfect parody of the Raymond Chandler crime noir style of fiction. 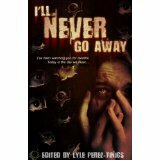 It has all the tropes – threats by goons, a missing person to be found, a femme fatale constantly getting involved, and it is hilarious, funny from go to whoa. One of the best things Woody Allen has done. Jeffrey Archer as a novelist I enjoy but find disposable. He has a habit of 'telling' instead of 'showing' (which most writers get told to avoid). However, in his short stories that works wonderfully. His collections of short stories are my favourite of his books. And this tale of a Nigerian government official and Swiss bankers has a twist in the tale I actually did not see coming. Just great. Another author I really enjoy. While he does have a habit of getting preachy, in his short works, this is not an issue. This story is very short – in the magazine form I have it, it is a little over two pages – but that hardly matters. He does not need a huge number of words to explain the reason the Bible was written as it was. No, I won't give it away, but Moses and Aaron never sounded more like brothers. This is a strange tale. There is not a single character who goes from bit to bit and it encompasses all of human history, even beyond our own, and then explains the truth of the universe in a way that is quite stunning. So much history and time covered, and yet it is held together in one short story. Quite brilliantly done. 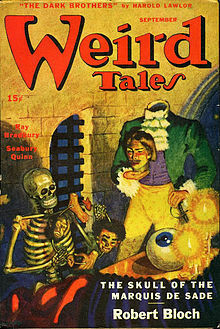 Robert Bloch is probably best known for writing Psycho, but his short tales are quite superb. This is a very well-written horror tale, with a lot of death, but he actually manages to give a skull a sense of character, no mean feat in itself. And the idea is also somewhat unique. I have not read a lot of his shorts, but his work definitely intrigues me. Robert E. Howard was a pulp fiction writer from the first part of the twentieth century, and he wrote in so many genre and was so prolific it's easy to forget his career was actually quite short. 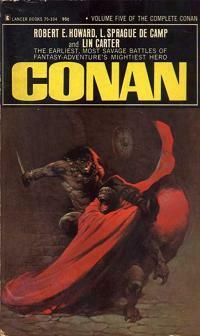 His most famous creation to us is Conan the Cimmerian, and the mantle was taken on by a series of subsequent writers. This tale is unlike many others, where Conan appears to be a Dungeons and Dragons superhero, in that he is chased by wolves and falls into a tomb. It is actually quite creepy as well. Nice tale. Of course, Doyle is best known for Sherlock Holmes, but he wrote so many short stories across so many genre it is amazing. His boxing short stories are amazing, but this tale is something that is quite rare – it is a trend-setting tale. It is one of the very first stories about an ancient Egyptian mummy come to life, in this case through magic employed by a university student. And it is really well written and quite creepy. First appeared in Harper's Monthly Magazine, September 1892. Ed Ferrera was a writer for professional wrestling organisations. While I was not a fan of some of the story-lines he came up with, he was certainly experienced. And then I found this really creepy short story by him. Wow. It is one of the best-written tales from the past ten years I have found. 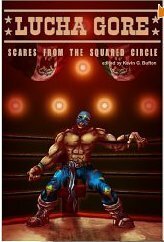 It is, in essence, about the past catching up to a professional wrestler (a gig mark is the scarring on a forehead of a wrestler caused by blading, for those playing at home) in a quite eerie way with an awesome ending. This piece is a creepy, atmospheric take on Greek gods playing games with mortals with a strange ending that fits the characters of the deities just perfectly. At its core, it is about an artist whose mind is taken over completely, and it is rather creepy and not a little paranoid. Worth tracking down. THIS is my favourite short story ever. It has been from the first time I read it back in the 1980s. I'm guessing it was written as a parallel to our own world – as a lot of good science fiction is – but it really made me think. John Garth is on a planet with the Weskers when they are joined by a missionary, and things go downhill from there. It is a sad story, with a real downer of an ending, but that does not take away from the tale. And, despite it being a short story, John Garth is one of the best constructed characters I have come across in fiction. This is a glorious tale. Howard is probably best known nowadays for creating Conan of Cimmeria, and maybe King Kull, and his fantasy writing is indeed fine and has set the template for most of what has followed. However, I prefer his horror shorts. Unlike many other writers of his time, he did not use a lot of words and over-blown description, and I think that's why his horror stories appeal to me. for his fantasy writing, but he was also a great horror writer. This is a combination of fantasy and horror, as the defilement of an ancient temple leads to a come-uppance. The amazingly written ending is what lifts this tale out of the ordinary. And Mr King makes a second appearance here. This basically a wish-fulfillment fantasy with an updated twist. And it has an ending that made me hope things would turn out the way the main character wanted them to, I was that invested in the tale. And, I think uniquely for this list, I have seen an adaptation of this story in some TV anthology series (like The Twilight Zone… maybe it was the 1980s version of The Twilight Zone; it was a long time ago and I'm old). And I had no idea what the ending was going to be. Lovecraft is not an easy read. He only wrote one novel – not a brilliant one, I am afraid – and his horror tends to be cerebral or so couched in language that the meaning is hidden to a modern reader. Having said that, I do enjoy his work. I find his use of language quite wonderful and wish I could be as good. However, this story with its slow build-up and an ending that is, at best, ambiguous, seems to be the starting point for so many modern writers. I do like Poe, and find him quite an entertaining read. But the problem is his stories have become tropes of themselves and the stories lose too much of their impact through constant pop culture referral. However, this story is not one of his better known ones (the adaptation with Vincent Price is quite good as well) and the concept is something that is not done often at all. The whole mesmerism thing and then the ending – creepy and great. So, fifteen stories for your reading pleasure. This would make one helluva anthology! I urge you to track them down and enjoy them. They are really worth it. Now, what did I get wrong? What did I miss? There are so many written, I clearly missed something. So tell us your favourites below. And, who knows, a revisit list might come out of it! Steve - I haven't read any of these. Gives me some ideas for Christmas Holiday reading. I'd like to make a few suggestions: 1. The Nnd of Something by Ernest Hemingway; Shooting an Elephant by George Orwell; Rain, Rain, Go Away by Isaac Asimov.